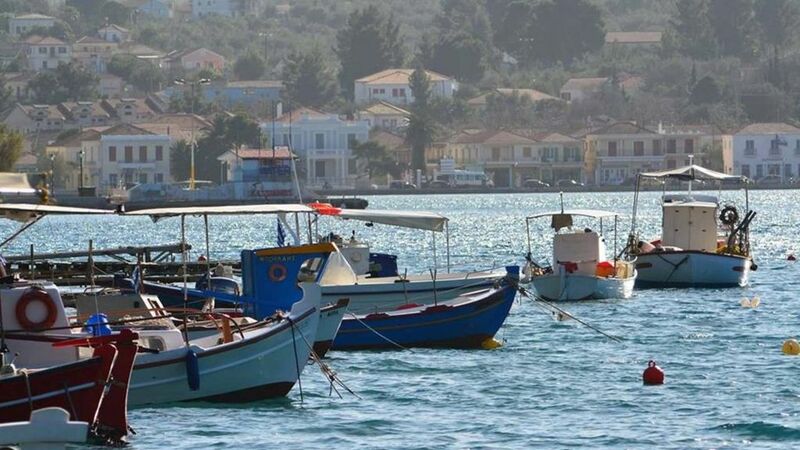 A traditional house, recently renovated, located right in the centre of Ithaca's capital, Vathy, a natural harbour of great beauty that oozes memories of ancient glory.The accommodation is located 40m from the town's square market, cafe's, bakeries etc. A really bright, warm place, a ‘summer house’ and a true sample of Ithaca’s traditional buildings awaits our guests. Perfect for couples, groups of friends and families who want to live in the center of Ithaca’s capital, Vathy. In other words it is a great asset to be living wright in the center of Ithaca’s most beautiful natural harbor the recognition of which travels beyond Hellenic boarders. The location would be a great convenience for our guests, since by being so close to everything saves you time and money. Nearby (40m.) one can find a supermarket, several restaurants, kiosk’s, banks, a bakery, pharmacy, the travelling agency, taxicabs, sea-taxis etc. Also the house neighbors with the Maritime & Folklore Museum and it is 5m. (by foot) away from the Archaeological Museum and other landmarks like the picturesque Metropolitan Christian church of Ithaca. -3 main bedrooms which all have capacity for two people (2 with double beds,1 single bed). -a living room with a fireplace, a massive vintage dining table and a small bar. -2 spacious bathrooms each with a shower cabin. *some of the furniture are old, aged and purposely maintained inside the house to save the villa’s original identity. Moreover the surrounding garden adds to the size and also the beauty with its greenery and flowers, its bougainvillea’s, lemon tries, its grapevine under which you can enjoy your Greek evenings and last but not least the barbeque where you can test your grilling abilities. The outside area, the ‘back yard’ can be used as a lounge area as it is fully furnished with a dining table and sofas to relax. There are bicycles available upon request. Worldwide famous as the home of Odysseus, Ithaca symbolises the return to the haven, the discovery and the fulfillment. Despite its proximity to Kefalonia (Cephalonia) (2km northeast) it is much more peaceful, quiet and undiscovered from it, thus being an ideal place for alternative activities and a holiday living up to the standards of the most demanding ones amongst us. With its 27-kilometre long and 6.5-kilometre large mountainous surface, it boasts plenty of hiking as well as mountain bike trails in a sequence of blue and green alongside the coast and through olive, cypress, pine, oak, arbutus and carob trees up on the hills.Scuba diving and sea kayaking are some of the options too, while the Cave of the Nymph will give you the chance to combine an exciting visit with a myth: Odysseus had hidden there the gifts he had brought along from the land of the Phaeacians. Whether you choose our accommodations for the feel, or you wish to visit and see Ithaca from a different point of view, we will be happy to provide you with a welcoming and memorable stay for your holidays in Ithaca.